This article will go over how to sync your CaterZen calendar to your google calendar. Note you first must have turned on the settings for your GMail calendar. If you have not done this please see the article on how to set up an employee on the GMail. 1 - Click on the Green tab next to the employees name that now says Google Connected. 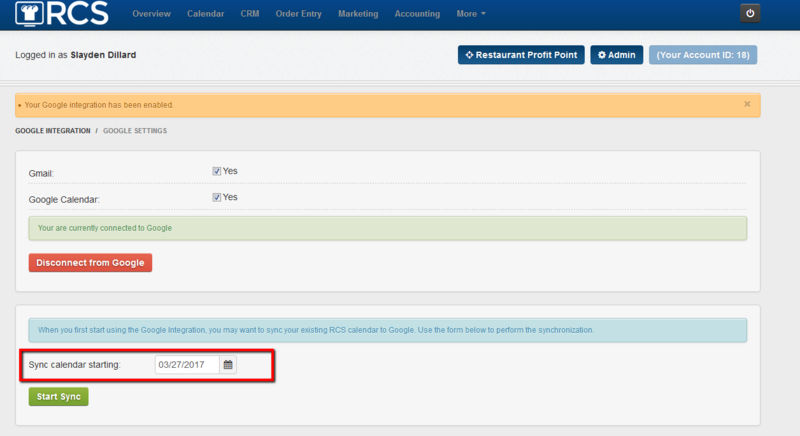 2 - You will see that you are now connected to Google - make sure the check box for Google Calendar has been checked off. 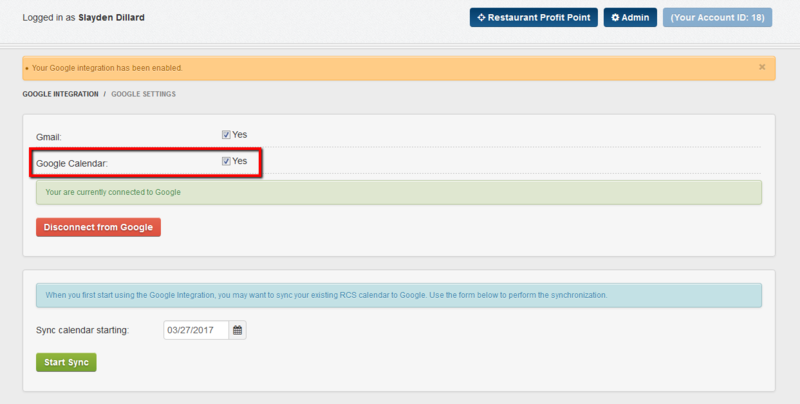 3 - Next you will want to choose a date to start the syncing of your CaterZen Calendar to your Google Calendar. Click on the Calendar icon and a pop up for the calendar will appear. 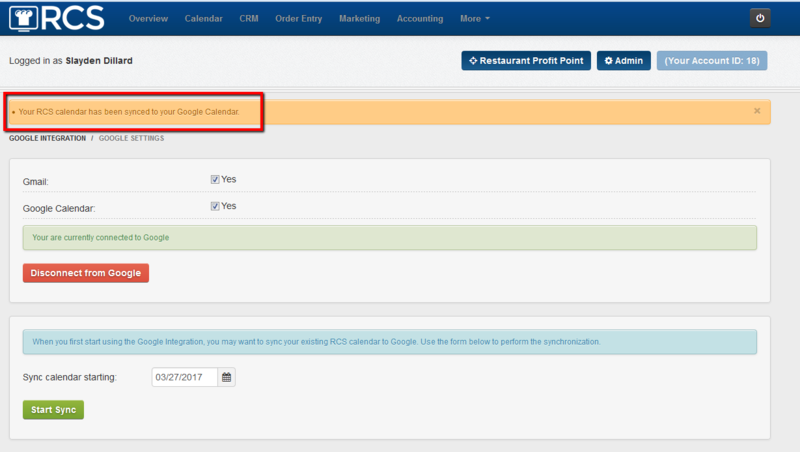 4 - Choose your date and click on Start Sync tab. 5 - You should have already checked off the types Activities and Order Types you want to have appear on your calendar but please double check make sure the correct ones are checked off. 6 - Also we encourage you to make your activities and different types of orders different colors. This will help when looking at your calendar in a glance. Note the default is #A4BDFC which is blue. When you click on the drop down box the codes for the colors will appear BUT when you change to a different code the color for that code will appear. Remember anytime you make a change click on the Save Google Settings tab. 7 - Once you click Start Sync the system will take a sec to sync everything together. Once the system is done you will receive a notice letting you know it has been completed. 8 - You will now want to Refresh your internet browser. You have now learned how to connect the admin of the CaterZen - account to Gmail and Google Calendar. Remember to Refresh your internet if something is not showing correctly.